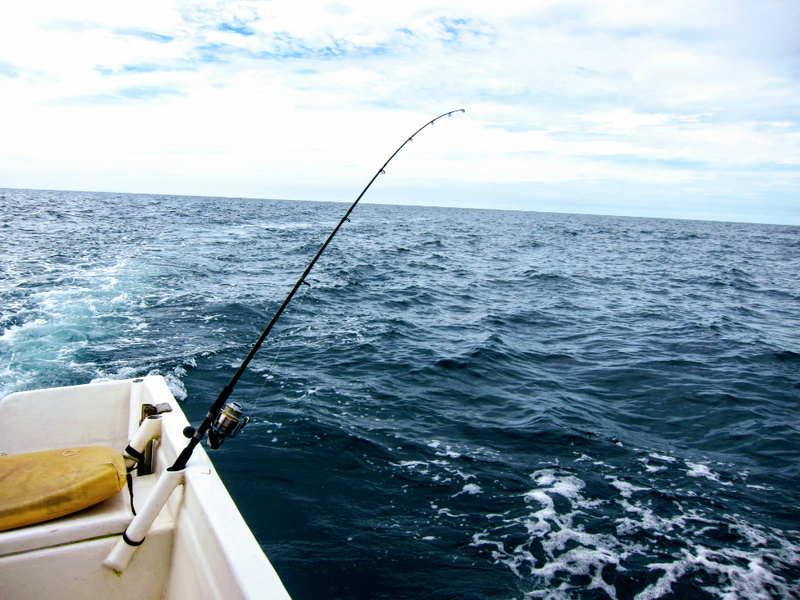 Open Season over the east coast, still a bit choppy but expect good fishing. The moment we all have been waiting for, open season over east coast. 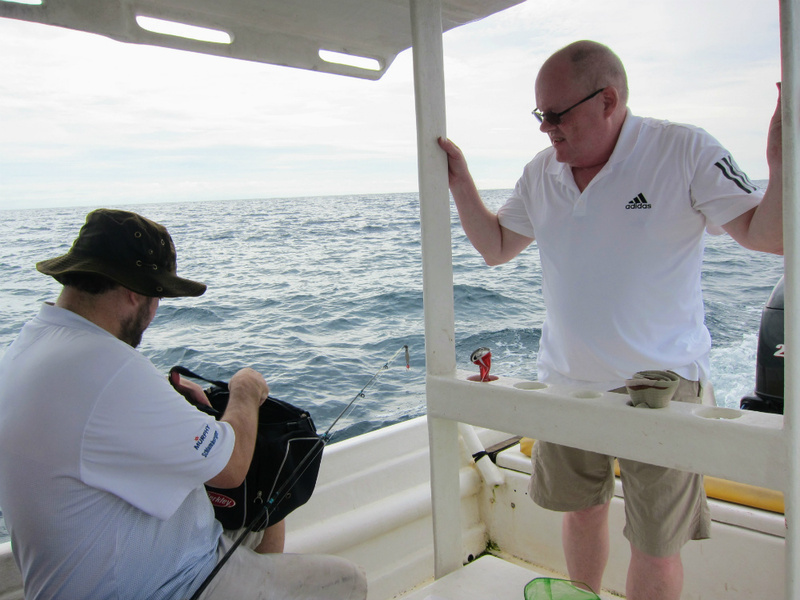 Its a long wait since last Nov before we could head out again fishing in the South China Sea. It is closed for fishing activity or any coastal water activity because of the East Coast Monsoon. After a successful FW outing a week earlier, I’m ready to get things going and continue a good momentum with Nick and Ben who will be fishing in Pekan, Pahang. Ben was Andrew’s mate and it is a pleasure to give them a great experience out here in Pekan, Pahang. One thing I like about Pekan is the variety of species that are available for anglers. Never feel stressed out when I’m out here, as there is always a different fishing method to try. So Ben and Nick had some good experience in Kuala Rompin previously. They are seasoned anglers and wanting to explore new location. At first we planned to go out as early as late March but not sure how the weather would turn out so they decided to go in April. On the first day, the weather was not really on our side. It was quite rough when we head out to our first location. Trolling will be the main game today. Nick had some trolling lures with him and it will be a good start if can get some Macks to kick start the day. What we did was trolling around the “Unjam” or Fish Aggregating Device “FAD’s“. Small baitfish would congregate the FAD’s and surely predatory fish would lurk just outside or underneath the FAD’s. 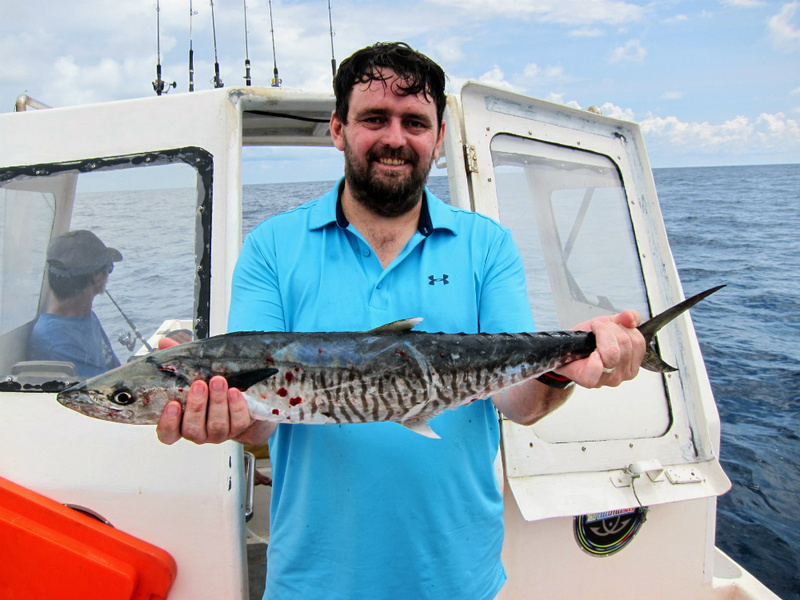 During our first run, Ben had Nick’s Blue Striped Halco trolling lure gulped by a decent size Tenggiri. The fight was brief and finally we got one in the ice box. 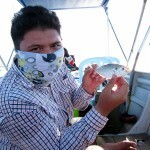 Then, it was Nick’s Blue Striped Halco trolling lure got hammered by a large size Tenggiri. It was a dream start to our morning session. Ben and his Tenggiri, Trolling on Halco lure. 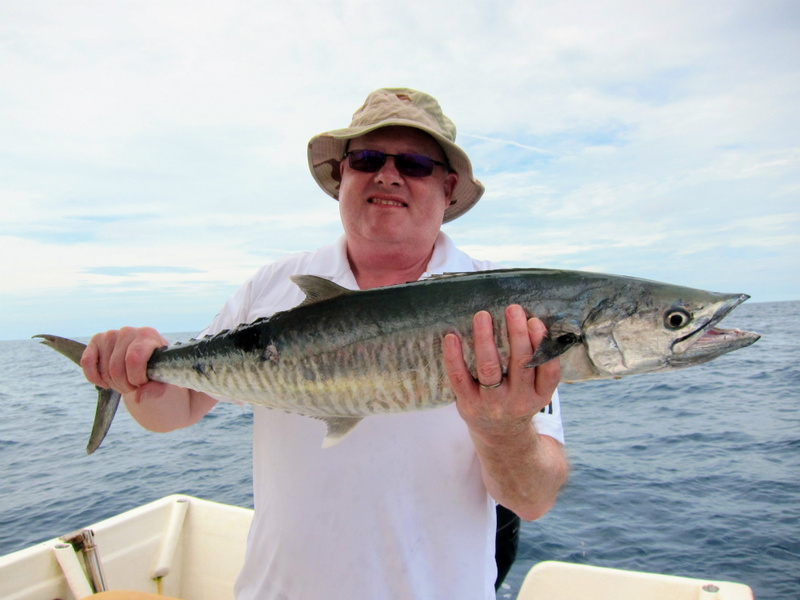 A good size Mackerel or Tenggiri, fallen for the Halco 8m Trolling lure. After few more trolling runs, it was all quite. Weather was still rough and we are about to hit by a patch of rain storm. We decided to anchor on to the FAD’s and hope the rain passed by as soon as possible. The rain was fast and swift, it was all clear and the sea was a bit calmer. We ditch the FAD and look for another one. The location of each FAD was not that far, close to 5 miles. We start the afternoon session with a trolling. Nick had few hits but did not connect. One thing that surprises me was the fish activity in the area was frenzy. 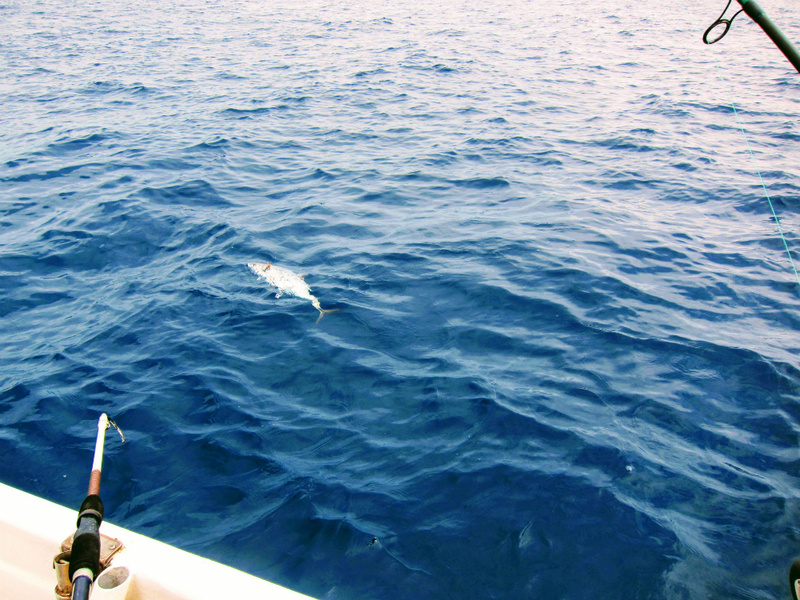 Small Bonito’s can be seen jumping out off the water chasing small baitfish. It happens over and over and there were thousand of them. Nick was getting all the hits, bitten off few times. The main culprit will be the Barred Mackerel or Tenggiri. 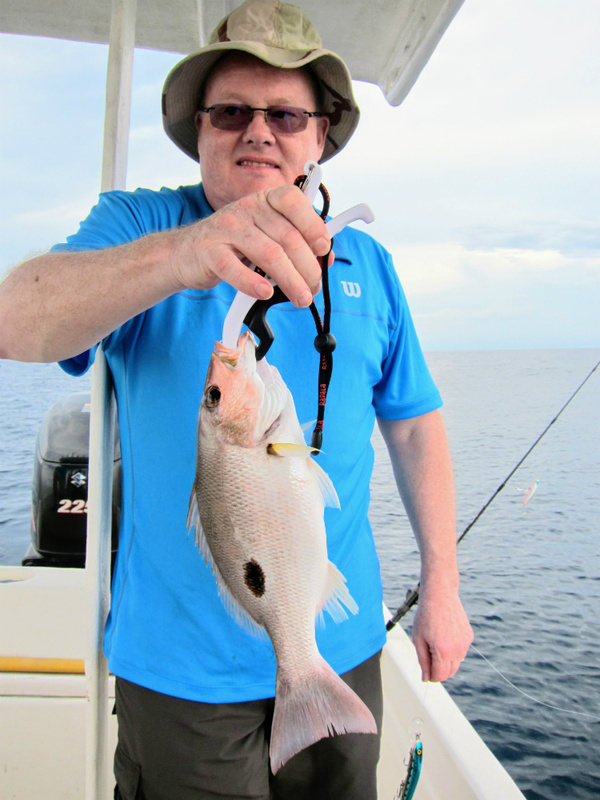 Plus, Nick landed 3 Black Spotted Snapper on a sinking lure. The main target was sure Tenggiri but those snappers just went and hammered his lure. It was a good table size snapper and will be safely released in the cooler haha. It was an awesome spot, but the Bonito’s were not taking lures, jigs and spoons. Black spotted snapper is a common catch over east coast. Which is a bit annoying because they literally it jumps by the side of the boat. Even on small sabiki couldn’t entice them for a bite. Ah Loy were stocking some live-bait for our final spot of the day. We head to another FAD and this time we are ready for some bottom fishing with live bait. 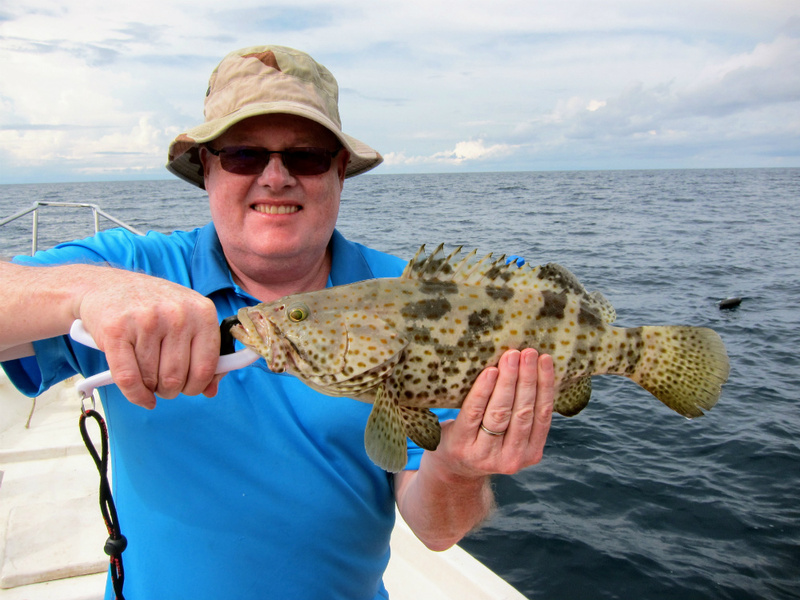 Nick once again draw first blood as he nailed one nice table size Orange Spotted Grouper! He was using live Tamban for bait and it works perfectly for him. It was all about perfect timing to hook the fish. Once a bigger fish took the bait, in split seconds he need to really hook hit and haul it back up without giving the fish any chance to run under the FAD. Ben was not able to get the timing right, and we are running out of bait fast. We had some fresh squid but the grouper will only take live fish bait. We ended the day with some good catch and hopefully tomorrow will be even better. Orange Spotted Grouper for Nick! Nice catch! Day 2, was a perfect day. The weather was bright and the sky is clear. The sea was much more calmer, a perfect condition to start our fishing day. We had all figured out in Day 2, we were planning to run the same program and hoping to add a bit more to our total tally. 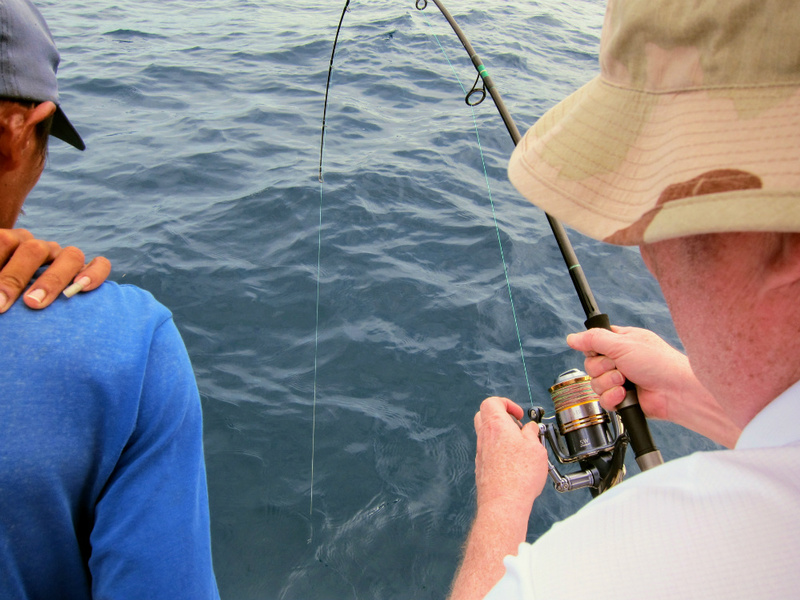 We started with trolling and even that, they are running their last few lures that are able to dive at 8m. The first pass across a bait-ball produces our first bite. 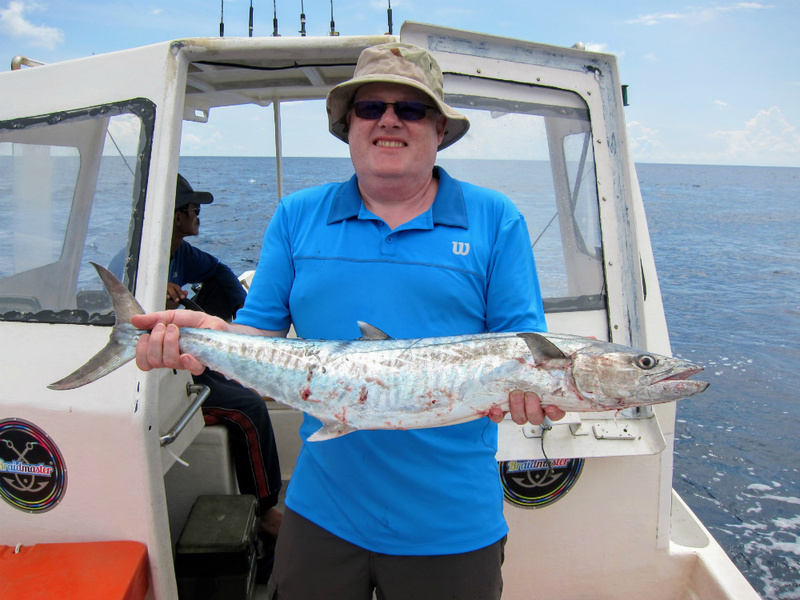 It was not a Tenggiri like we hope for but rather a small Bonito ambitiously took the large trolling lure. Ben and Nick getting ready for a final day battle. Bonito! 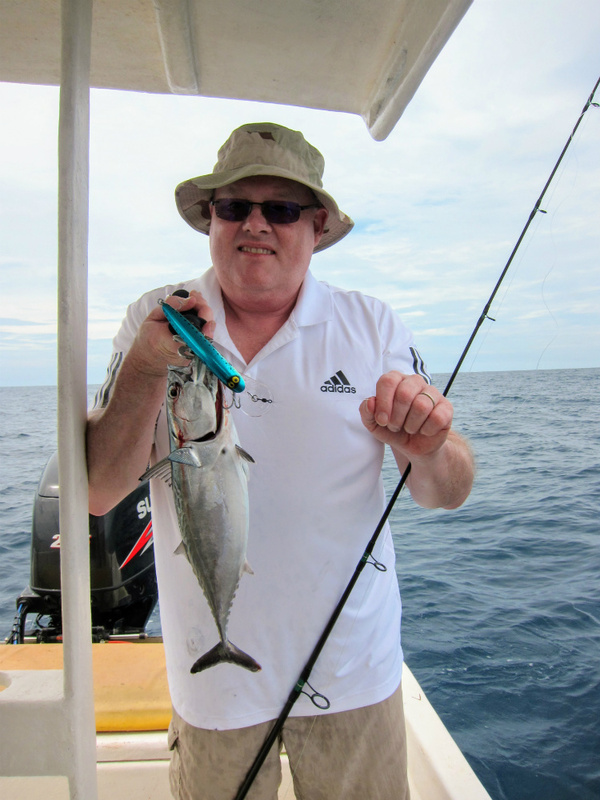 The one and only Tuna species that are available in shallow coastal area in Malaysia. We continue on trolling for another round and this time a bigger fish took Nick’s Halco Trolling lure. This time the battle was intense. The fish did not gave up easily and it dives down deep several time before finally gave up. It was a good battle and Nick got his first Tenggiri of the day. That will eventually be the last trolling session of the day. After the third run, the lure was taken again but somehow the line snapped. 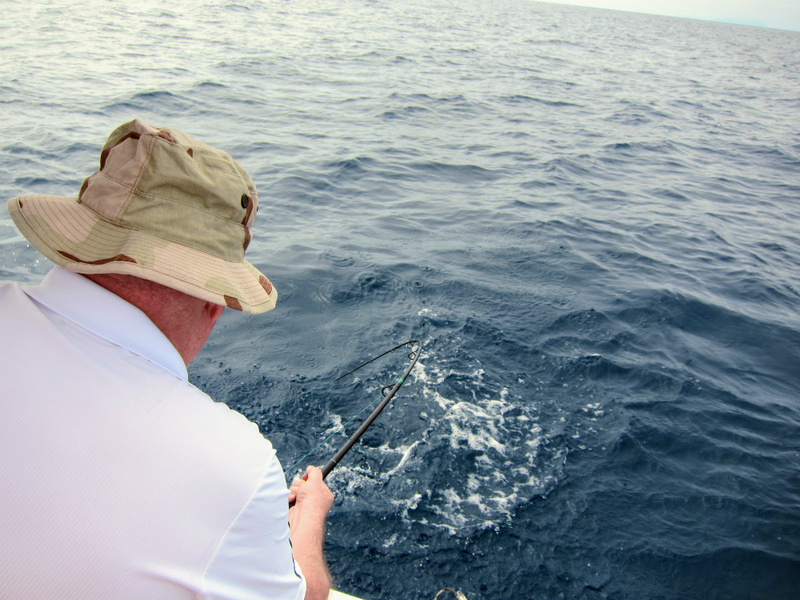 We anchored closed to the FAD’s and hoping that we could get some Snapper in. Ah Loy, our captain was the first person get one on the score board. Ben really tried today but was a bit unlucky. He snagged a few time and lost some too. 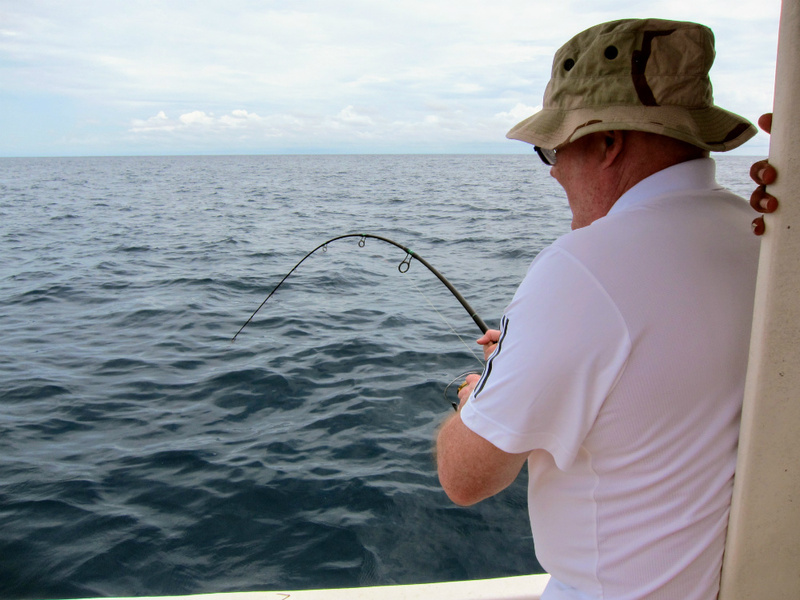 Nick on the other hand was continuously casting his sinking lure before finally scoring another Tenggiri. Even Cuttlefish is around and Ah Loy did manage to get some for dinner. We then moved the boat further up from the FAD’s and literally be on top of the bait fish congregation. If they had more Pintail’s could have been a frenzy because Ah Loy lost 3 pintails in a row to Tenggiri. Patiently not to over-do it. Finally a silvery figure appears on the water. The moment we though we had it, it dives back in! Another trophy Tenggiri for Nick! Great battle and sweet victory in the end. It all went well 2/3 of the day until we had to came in early for some unexpected issue with Nick’s condition haha. The journey back home was about an hour and finally we reach the jetty by 3.00pm. We packed things up for them and cleaned the fish. Bid farewell to Nick and Ben and waited for my family to pick me up. It was a great weekend, good fishing for Nick and Ben and able to spend some time with the family in Pekan. Next stop with Andrew Griffin in Kuala Rompin, until then, tight lines!! !